Mosey Slocumb comes from a family with a long history, and no, she is not a blue-blooded aristocrat. Every woman in Mosey’s family has been pregnant by the age of 15. Now that she is approaching the ripe old age of 15, people have begun to whisper behind her back about just how long it will take before the youngest Slocumb succumbs to her fate. But Mosey is different than the other women in her family. In more ways than she ever thought possible, and she is about to find out just how different she is…And it all started with a tree. Mosey’s grandmother, nicknamed “Big” has decided to tear down the tree in the back yard and dig out a hole so that Mosey’s mother “Little” can do physical therapy at home. Mosey’s mother had a stroke in the middle of a school function recently and turned the Slocumb women’s lives upside down. Sadly, Mosey’s mother had a bit of a reputation around town for having a keen interest in other women’s husbands before she had her mishap. The three Slocumb females must join forces in the absence of community support and pull one another through the storm that arrives when human bones are found in the earth where the swimming pool belongs…And the richest, snobbiest woman in town wants to point her finger at the town’s one-time harlot, who can no longer defend herself. Follow the Slocumb women through their journey as they discover the meaning behind the bones, cryptic messages from “Little”, clues left behind in an old treehouse, and a trail that has been cold and dead for decades. This novel digs into the importance of identity and female solidarity, and if you love women’s fiction that glistens with humor and heartwarming love, this novel is, quite possibly, one of the best grabs of the year. Pick up your copy of the novel today, or order the audiobook from Hachette Audio, it is a rare jewel among audiobooks. 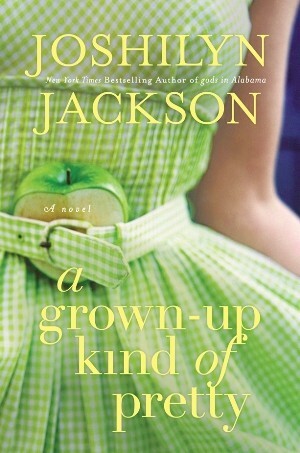 Plus, if you love the novel, Joshilyn Jackson has more books to gobble up! Don’t miss out!